This website was a lot of fun to work on – this company promoted young musicians and I got to listen to new music from upcoming bands before anybody else had heard of them. Some of them never had a more enthusiastic audience than me! 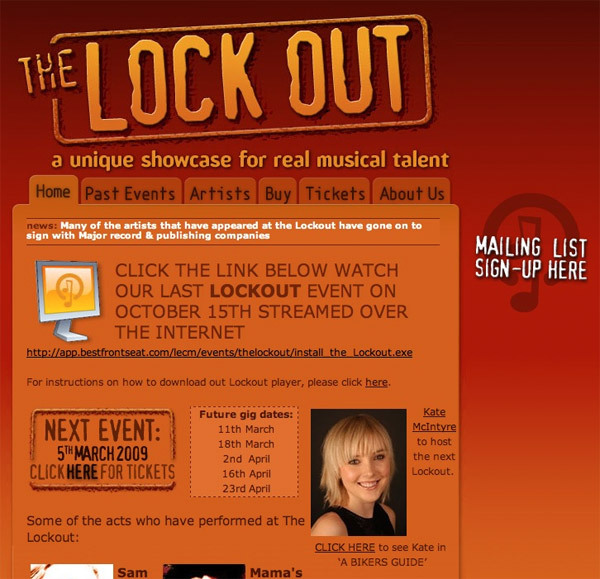 This contract was through iTransact Ltd. We built and then maintained the Lockout website from 2006 – 2008, when the company was bought by Dingwalls.